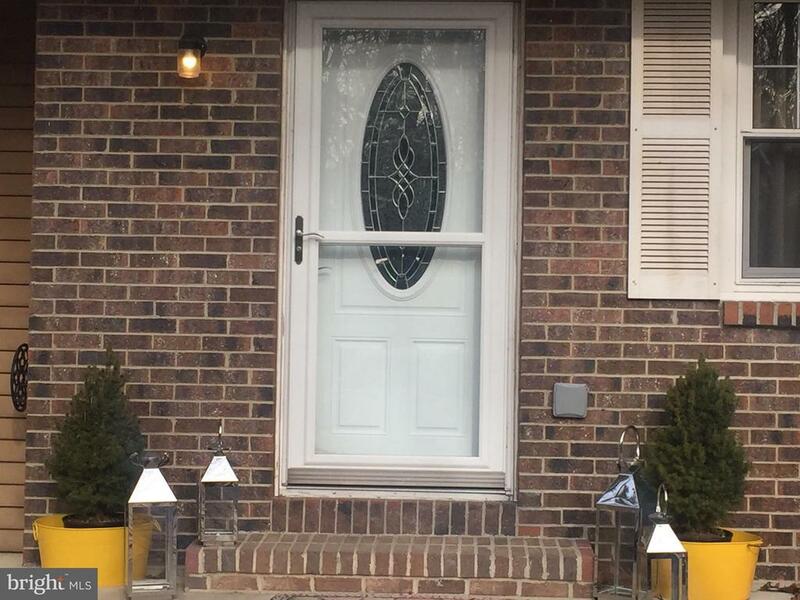 All Tabernacle Twp homes currently listed for sale in Tabernacle Twp as of 04/22/2019 are shown below. You can change the search criteria at any time by pressing the 'Change Search' button below. If you have any questions or you would like more information about any Tabernacle Twp homes for sale or other Tabernacle Twp real estate, please contact us and one of our knowledgeable Tabernacle Twp REALTORS® would be pleased to assist you. "An absolutely beautiful setting awaits you on this 1 acre property in Tabernacle. Enjoy sitting on the front porch overlooking the beautifully landscaped grounds and cul-de-sac location. This spacious gray cedar shake center hall colonial has generously sized rooms with a neutral decor and is move-in ready. Features include wood floors on main level, updated kitchen with crown molding, oak cabinetry, granite countertops, stainless steel appliances and an abundance of natural light from the skylights and many windows. A Large Breakfast room which overlooks the rear yard, great room with vaulted ceiling, dining room with wood burning stove insert in fireplace completes this open concept living. Off the kitchen is a 2 car garage, bedroom and full bathroom. An office and living room with crown molding completes the first floor. The Master bedroom is quite spacious with ceiling fan and walk-in closet. The Master bathroom has been updated and includes a jetted tub, shower and dual vanity. There are three additional guest bedrooms and laundry room which completes the 2nd floor.. The partially finished basement adds additional living and entertaining space along with storage. The rear yard boasts a Concrete patio with fire pit, bar and 14x 24 shed/garage. Gas line to home just completed. The quiet serene setting is conveniently located a mile from Route 70 minutes to 206 and 20 miles to NJ Tpke . A short 35 mile trip to nearest shore point." 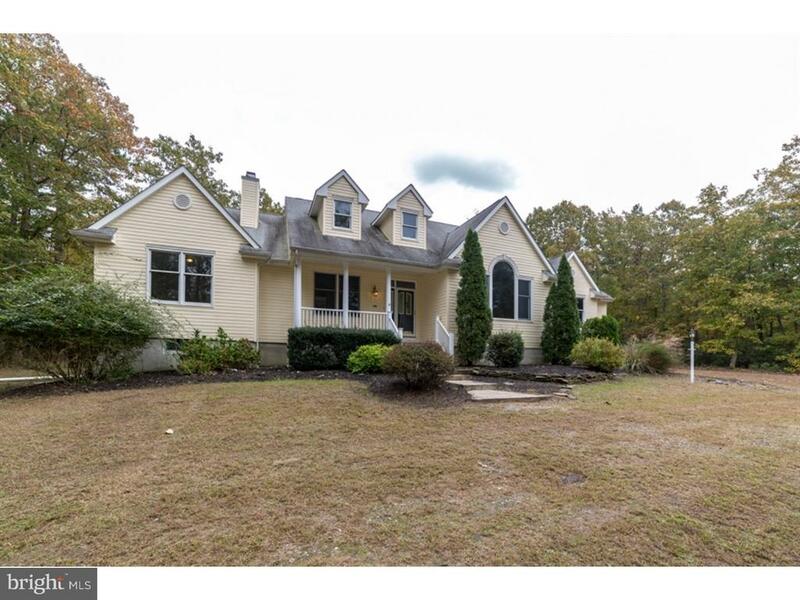 "Beautiful Colonial Home On 3.73 Acres. Built By Bob Meyer. Boasts Spacious Room Sizes. Foyer Has Hardwood Floors. Formal Living Room Has French Doors To Family Room With Full Wall Brick Fireplace. Large Breakfast Room Adjoins Warm Maple Kitchen And Looks Out Over Deck And Spectacular In-Ground Pool With Jacuzzi, 2 Waterfalls, Cave And Surrounded By Large Patio With Professional Landscaping And Black Wrought-Iron Fence. First Floor Study Has Vaulted Ceiling And Skylight. Large Windows Make This A Wonderfully Light Home.Truly A Must See For Every Buyer Looking For Acreage, Seclusion And A Superb Pool.An Entertaining Paradise. Horses May Be Possible. Don't Delay!" 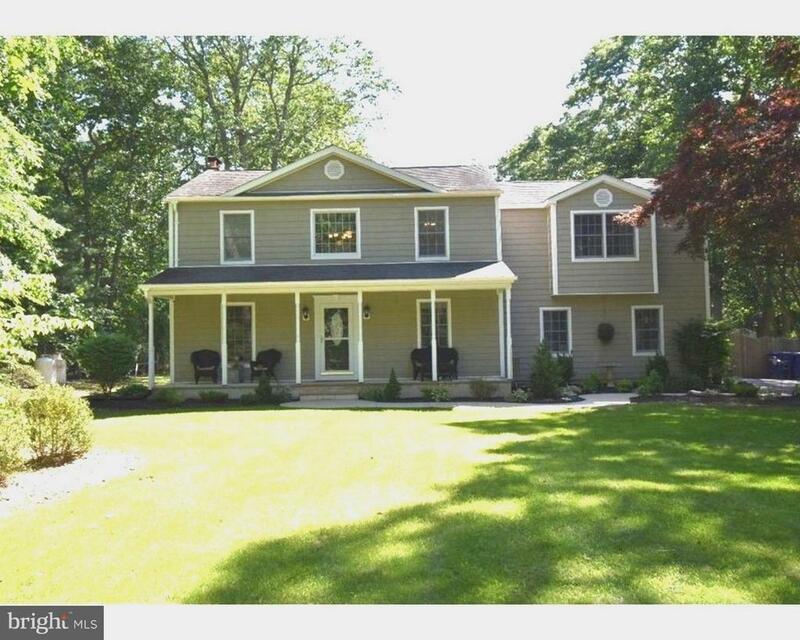 "Easy living on over 3 Acres in one of the hottest zip codes in Burlington County! This one story split living open airy 3-bedroom two full bath close to 2500 sq ft home with full basement and two car garage has hit the market! Master bedroom is complete with cathedral ceilings and an en suite with corner tub. Just renovated Kitchen is a cook's delight with oak color raised paneled cabinets, double oven, cook top and island with sink. Full basement with poured concrete walls and a brand new perimeter foundation drain system. Is peace and serenity what you seek, well look no farther. This is a HOMEPATH opportunity!" "CANCELLED OPEN HOUSE - Sunday, Feb.10th due to Family Emergency. Will be Rescheduled Lovely 2 story Colonial in Tabernacle Twp. offers privacy among so much more and is just a real piece of heaven on earth. Enter foyer entrance to cozy living room with hardwood floors which wraps around to kitchen area and opens to dining room with romantic yet beautiful brick fireplace. Kitchen is open flow to dining room and features charming wood cabinetry laminate floor,plenty of counter space and over sink lighting. French slider doors off dining room opens to enclosed sunporch for relaxation or use as game room. Huge fenced in Backyard features 20x18 deck to entertain and enjoy gatherings, above ground pool and an acre of land for your little ones to run, enjoy and ride their quads. Land goes back deep behind fenced yard plus 1 car attached garage. Now lets talk about the 2nd floor of this home. 3 beds all really nice sizes with plenty of closet space. All rooms have been freshly painted and full bath updated is gorgeous so get ready for your TLC time to destress. All bedrooms have carpet. Finished basement features 2 additional rooms were being used as bedrooms plus full bath with shower, laundry room and additional storage room. Generator breaker box in basement. Firepit area. Ready for fast closing. Also available for rent. 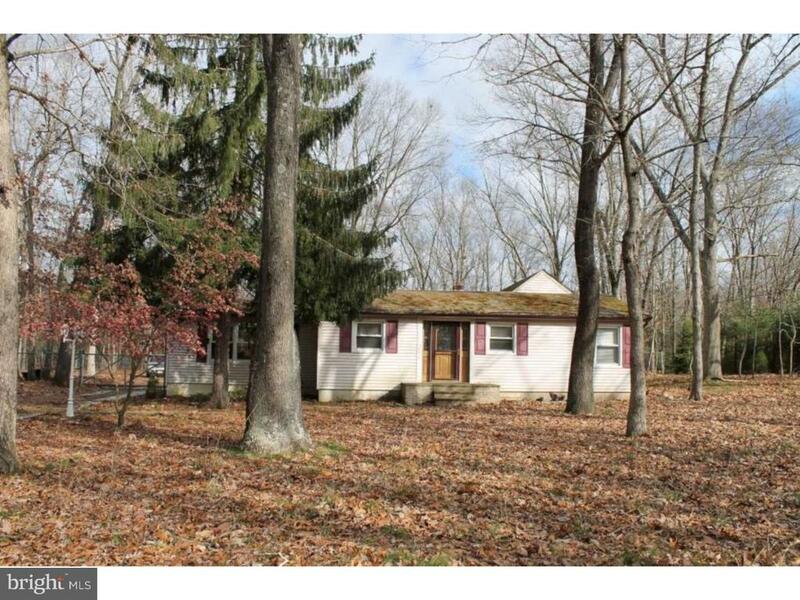 See MLS #"
"This 3 bedroom, 1.5 bath single floor ranch on an acre of land. The property is serviced by an onsite well and septic. In addition, it has propane gas heating and central air. This property is being conveyed in as is condition. Buyer is responsible for all inspections or certifications. Property is occupied and contact with the occupants is not allowed. Currently under Auction Terms - participating in the auction cycle between - 4/19/19-4/23/2019"
"BRAND NEW and READY FOR YOU!!! This brand new ENERGY STAR home has just been finished and is ready for the very first owner! If you have ever wanted to own a brand new home but were scared of over paying, then this home is for you. Enjoy all the comfort of this energy efficient home and have the peace of mind that comes with a new home that has ALL the WARRANTYS! This home is super energy efficient with 2x6 walls, energy efficient windows, brand new natural gas heater and water heater and central air conditioning. Enter in to the HUGE living room and you will feel right at home. There is plenty of room for oversized furniture and all the space you need for friends and family. The eat-in kitchen is sure to please with the natural wood cabinets and glass front doors that will give you plenty of storage space. The counters stretch throughout the kitchen and there are more than enough outlets for all the mixers, coffee makers and any other gadgets you may have. Cooking is a breeze with the natural gas stove and oven and the upgraded refrigerator is close at hand. The wall mounted microwave is ready and easy to use and the direct vent exhaust is an added bonus when cooking. Cleanup is a breeze with the dishwasher within easy reach. And yes, this is all BRAND NEW!! The large owner's bedroom is complete with two closets and a large bathroom that will make you smile as you see the convenient walk-in shower. If that is not enough, don't forget that there is another large bedroom for guests or an office and another full bath with tub and shower. This great home is set in the premier adult community of Allenwood Estates where living is easy and you have the peace and quiet you deserve. Enjoy the park-like setting while being only minutes from the grocery store and all the shops in Medford. There is easy access to Route 206, 70 and 73 and it is just a short drive to Atlantic City, Philadelphia or New York. All this in a BRAND NEW HOME and you never pay propert"